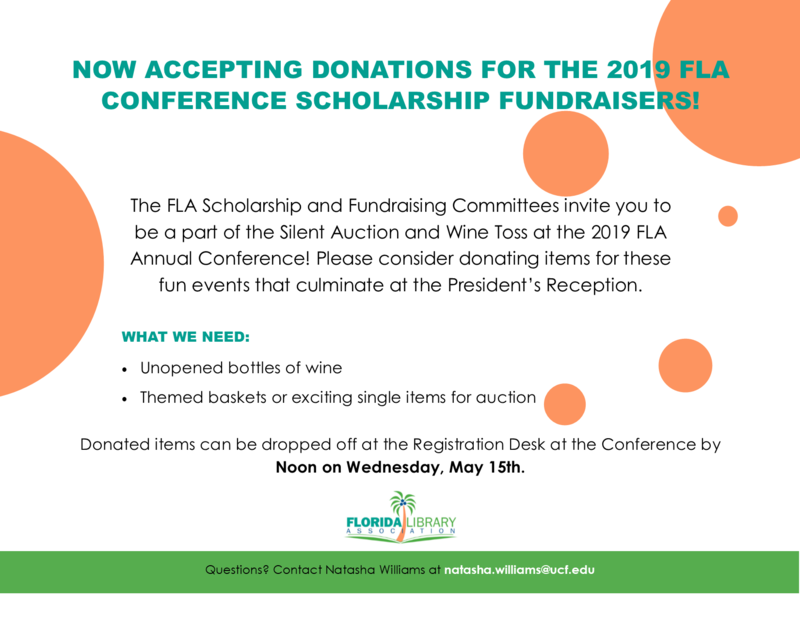 The Florida Library Association Conference Planning Committee is accepting proposals to present Lightning Round sessions at the 2019 Annual Conference at the DoubleTree at Universal in Orlando. Date: The Lightning Rounds are TBA. The date will be set by the time of notifications. Description: A Lightning Round is a time-limited and slide-limited presentation format. Each presenter gives a 5-minute presentation accompanied by 15 slides that advance automatically every 20 seconds. To apply to present, fill out the online submission form here. The deadline for submitting proposals is 11:59 pm on Friday, December 7, 2018. All Lightning Round presenters must be registered for the conference (either the full conference or for the day of the event). Acceptance emails will be sent out by mid January, 2019. 1. What is a Lightning Round? Each speaker is allocated five minutes of presentation time and is accompanied by 15 presentation slides. During presentations, each slide is displayed for 20 seconds and then automatically advanced. 2. What do presenters need to provide? The meeting room for the event will be equipped with a computer, projector, screen, and microphone. Presenters must send their presentation to the Chair by the Friday prior to the conference. All presentations will be preloaded onto the meeting room computer before the start of the event to reduce transition time between presenters. 3. Can I use multimedia in my presentation? Yes. However, due to the size of the room, it becomes difficult to hear audio slides. 4. Can my presentation run longer than five minutes? No. At the end of your allotted time, your session will be cut off. 5. Where can I learn more about the Lightning Round format? The key to a great presentation is to present something you are passionate about. 15 seconds is not a long time for people to read large blocks of text, so be selective in how much text you put on each slide. Practice to ensure that the timing of your presentation matches the content of your slides. The slides will advance automatically so you can’t pause or veer off-topic.